I start mapping out my holiday gift strategy each year pretty early in November. I sleuth around for things I love and make a big list to keep me on track. I don't necessarily finish all my shopping early (call me crazy, but there’s something festive about making a mad dash on the 23rd for that one last gift), but if I have my game plan set and at least know what I want to get for everyone on my list, I won't end up desperately buying something I don't really love at the last minute. 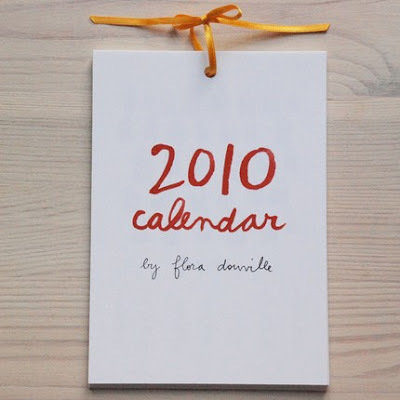 Always love Suann's simple, elegant, incredibly lovely work... and her calendar is no exception. 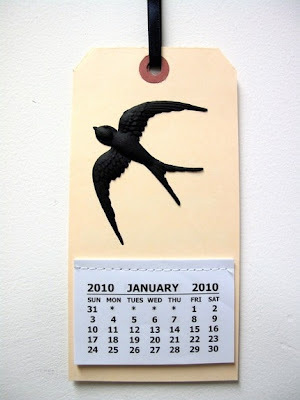 Tiny calendar by the paper thieves. It's on a shipping tag... so clever! Completely digging the concept (Odd Birds of LA) and the Hugo Guinness-esque drawings on this one from Krank Press. flora's is speaking to me. loudly. I love Flora's! 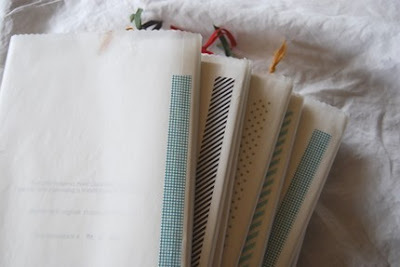 And the paper thieves one is sooo cute and such a great idea! 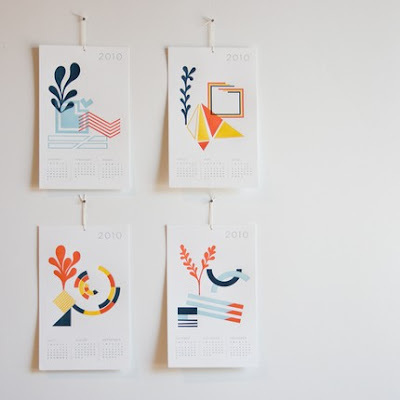 i need a beautiful calendar for work because my cube is boring and the work calendars are boring. 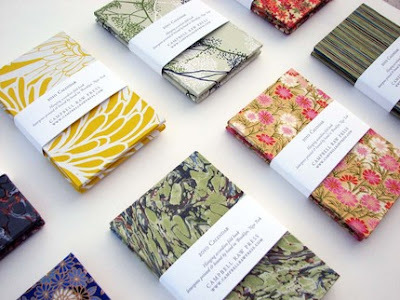 One of these would be fabulous! which to pick! let the Christmas shopping commence! i too love giving/getting calendars - these are great finds! 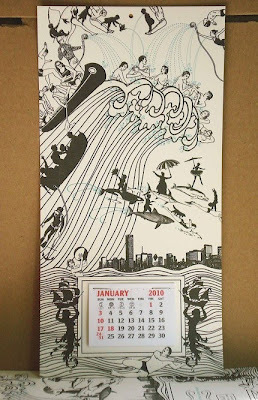 i just received the satsuma press calendar...it is as lovely as one can imagine. Wow, really exciting stuff! I just bought a couple of 'em -- trying to figure out which to keep and which to give -- and now I've officially started holiday shopping. Ahhhh. 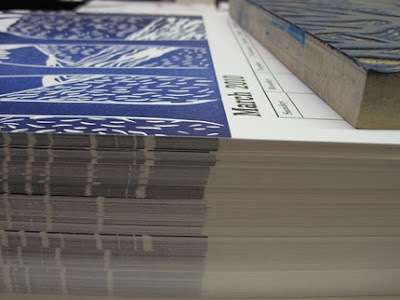 I'm always in search of a beautiful calendar with enough space to write in on the dates, so the Friends of the Printing and Book Arts is most definitely coming home with me. Checked out their etsy page and they have the words to "This Must Be the Place" worked into their June design. Thanks, I'm totally in love. Just gorgeous! I think I am going to order the Satsuma press calendar for my mom. 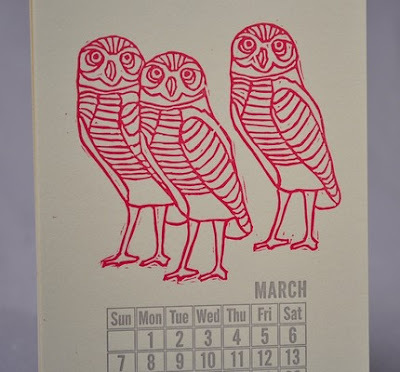 I'm always tempted by lovely calendars, but I ALWAYS buy the papercut art one by Nikki McClure each year-- love her! 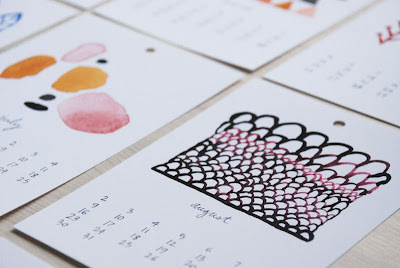 Ooh, I just got a beautiful one from Anna Cote (link on my blog) gocco printed with modern botanical shapes. I may need another now! I'm the same way! Ideally, I try to get all my shopping done before Thanksgiving, so I can settle in for lots of parties and baking during December. I usually don't quite hit the mark, but at least I'm not frantic on Christmas Eve. i love your round up. last year i bought one too many calendars because i couldn't resist! 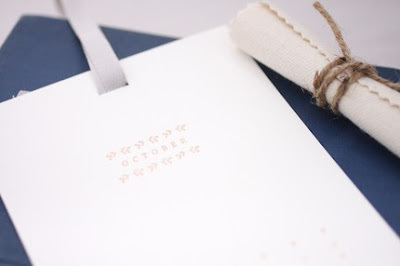 Love this idea for a gift! I'm going to go buy the Genesee Center for the Arts one. Thanks!